Earlier this week we woke up to snow, but today was an amazingly sunny and gorgeous day. It’s fascinating how quickly the weather can change and how 50 degrees can feel like 75. I wore a short sleeve shirt today and enjoyed going to lunch without a jacket! It even stayed really nice this evening so we all went outside and played in the yard with the kids. 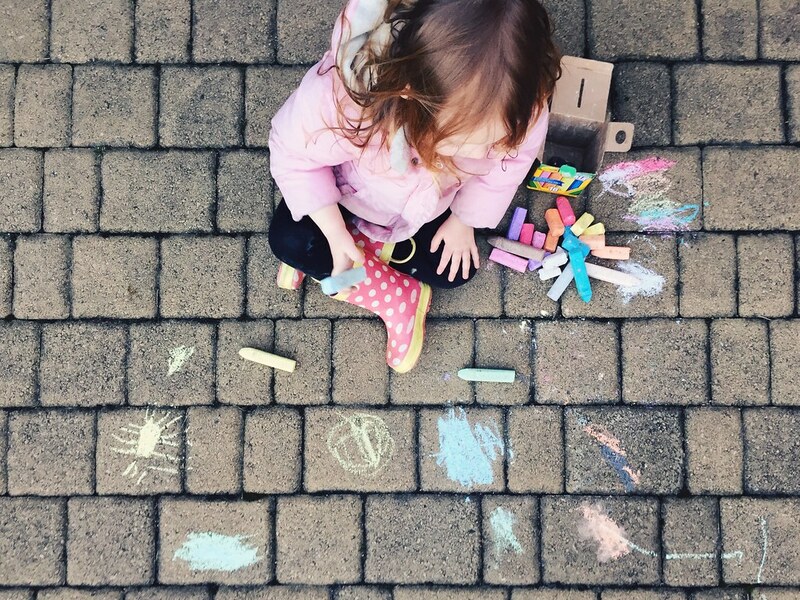 Above is a photo of Avery enjoying a little chalk time, and even though she was wearing a jacket it wasn’t so cold that we couldn’t stay out and play. Titus and I enjoyed a little basketball and baseball as well and it was just kind of nice to spend the evening outside. 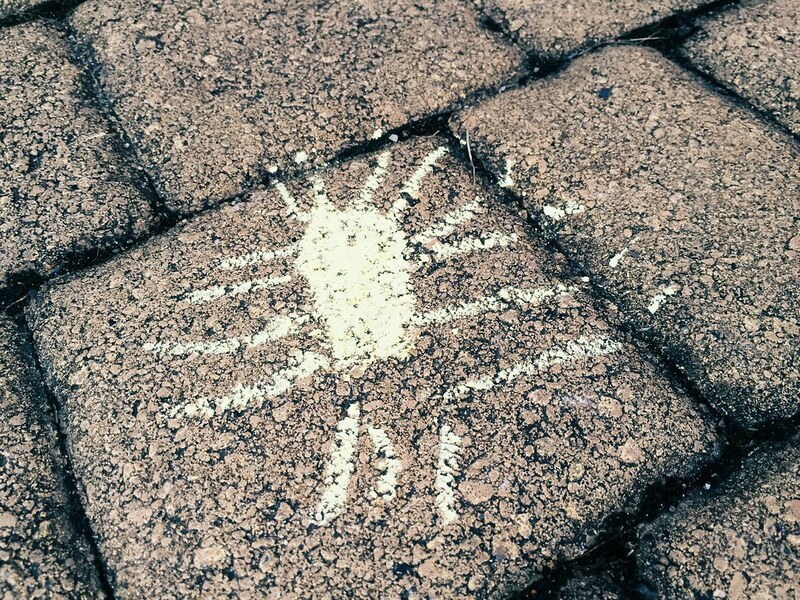 Fittingly, Avery also drew a sun (below). On a different topic, there is something strange that happens to the car radio that I’ve never blogged about. We have a little cable in our car that I plug my phone into often to listen to podcasts, sermons, or music while driving. Of course there is also FM and AM stations that we can access, but the Czech DJs are not known for the good taste (in my humble opinion). Sometimes when we’re listening to the radio or playing music from our phones, the radio will just cut off and you will begin to hear someone speaking in Czech like they are giving the latest traffic update. It’s very strange. In fact, today it actually cut off a phone conversation I was having. Our car has one of those bluetooth, hands-free things that connects to the car speakers but the Czech traffic just took over my conversation. I really don’t understand why this happens, but I have lately been attributing it to some kind of communism carry-over. Above is a photo of the keys to our apartment here. We added the colors to them when we got the keys so we would know which key is for which door. 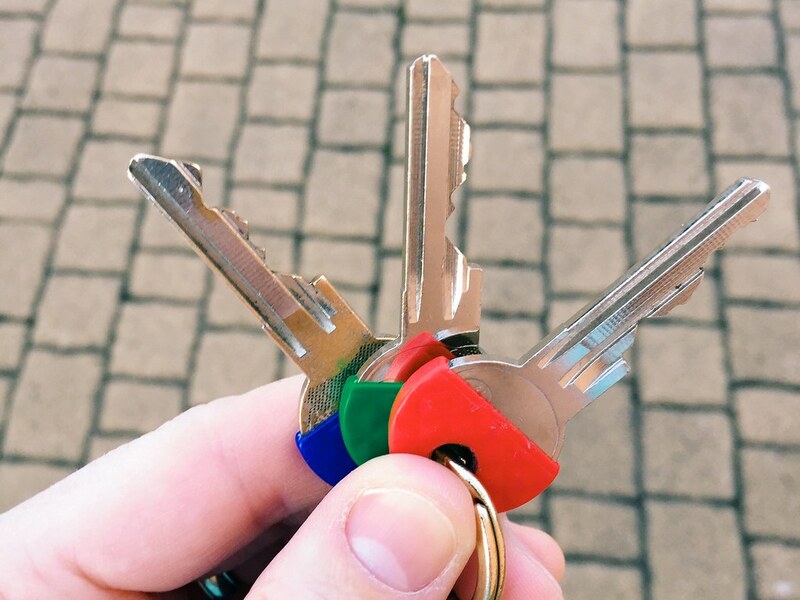 To get out of our property requires all three keys–one for the door to our actual apartment, one for the entry way, and one for the gate. You would think by now that I would have a good grasp on which key goes where, but almost daily I mix them up. I realized this tonight as I was going outside just how often I put the green key where the blue key goes and vice versa. I consider myself to be an intelligent person, but getting the keys right is still annoyingly difficult. I don’t want to leave this blog in the negative, so I will talk about something happy. On April 18 I will be teaching on the Trinity to youth ministry at our church here in Czech. They are starting a new series on theology and I was asked to speak. In preparation I started reading a book called Delighting in the Trinity: An Introduction to the Christian Faith. So far I have enjoyed this book thoroughly because not only do I believe it to be theologically sound, but it’s a very accessible book with wonderful writing. I just spent a few minutes reading some of my highlights out of the book to Bethany and she was getting excited. She said, “So what are you going to teach on? !” I said, “I don’t know! It’s all good…” Maybe I can just get up front and read them this book? Does anyone know how long it takes to read 135 pages out loud with a Czech translator?